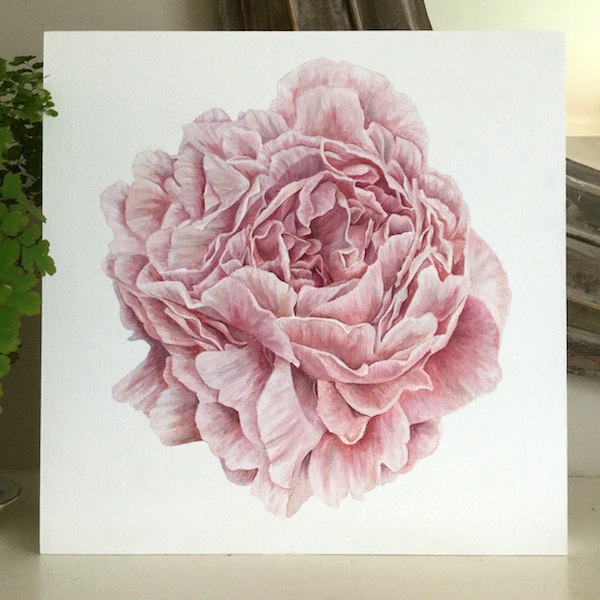 I had a wonderful opportunity to create a commissioned painting last month of one of my all time favourite flowers, a peony. It was so much fun diving into this very complicated flower, but I must admit, I was a bit worried at the beginning. 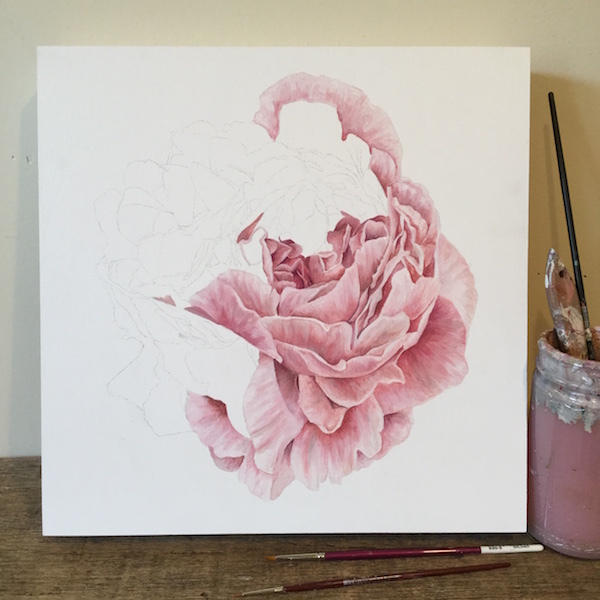 I mean, it's a peony! For all of you gardeners out there, you know how many petals are on just one bloom. But I went for it (had to!) and I was surprised how easy it all came together. Every painting is a journey, and this one was no exception. Because it was so complex, I had to approach it differently, which was a great learning experience and one I think will forever change how I approach a blank canvas. I had to think of it more like a puzzle, with all the small parts adding up to the greater whole, instead of working on it all at once, building up layers gradually over the entire canvas. I really love how this one turned out, and plan on doing more flowers with just as much detail and movement. oh my goodness this is nuts! 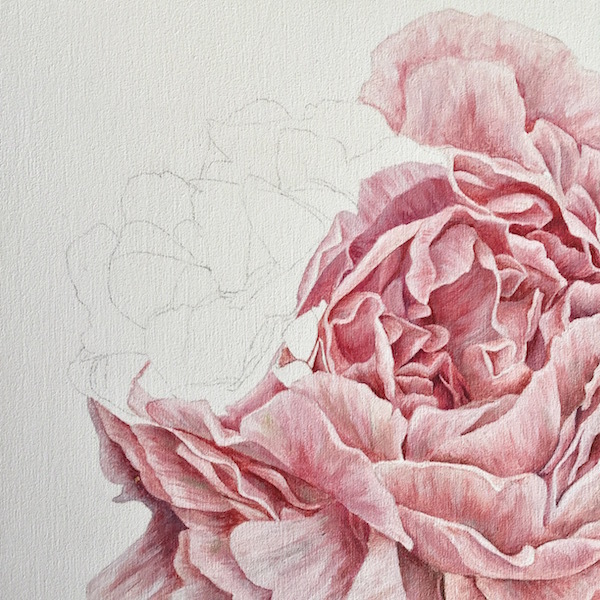 beautiful.. peonies are so fascinating to me, there are just so many petals. how does that work with lighting/shading - do you have a concept in your head how the light is going to hit each petal?